I got my first upgrade of 2015 since downgrading to Gold status. I was the last to clear and was excited to try out a new first class cabin (for me at least). 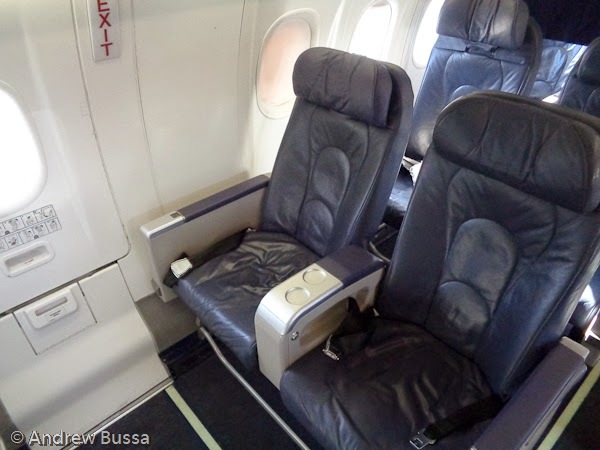 I was flying MCI-DEN on a Bombardier Q400turboprop. 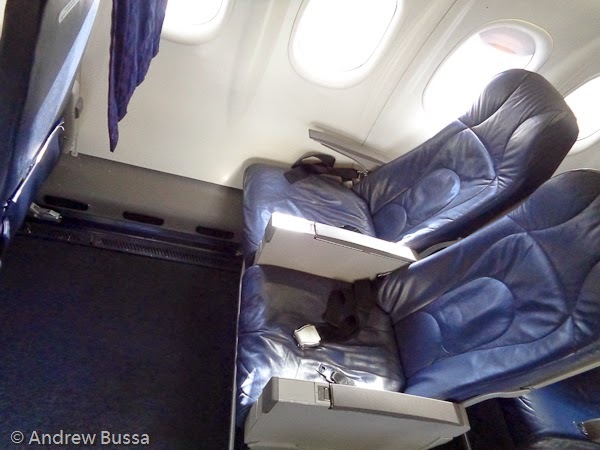 The seats and service are standard United Express, except the flight attendant was upbeat and never let my coffee go empty. 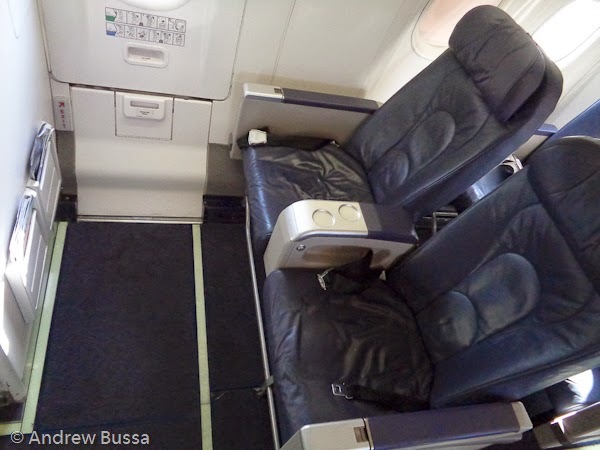 Row 2 is an exit row with plenty of space, but missing a window. The best seats are 7 C & D in Economy Plus, their leg room goes for ever and they have windows. One tip no matter where you sit, bring ear plugs. Bombardier's are quieter than other turboprops, but still much louder than jets.